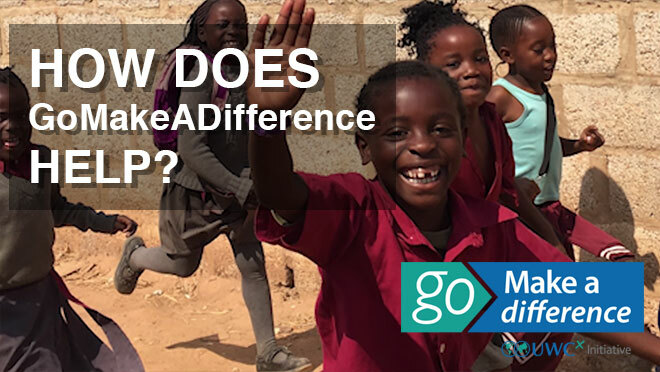 Founded by Colin and Jill in 2001, GoMakeADifference has awarded grants to over 50 projects in 40 countries across the globe making a difference in five regions - Africa, Asia, Europe, North & South America, and the Middle East. Over 500 UWC participants have delivered GoMakeADifference projects with thousands of people benefiting around the world. To gain inspiration, see a sample of previous projects on our case studies page. The GoMakeADifference team are always impressed at the diversity and geographic locations of the projects delivered. In nearly 15 years, people from 40 countries have benefited from GoMakeADifference – be inspired to make a difference yourself, click on the continents below to see some of the projects which have been delivered. View by Case Studies or by Annual Awards.